This property has so much to offer. Three bedroom 2 bath home with finished lower level for extra living space. Large eat in kitchen with wood floors. Two car detached, one car attached and carport. Pole building with horse stalls and chicken coop. Private stocked lake. 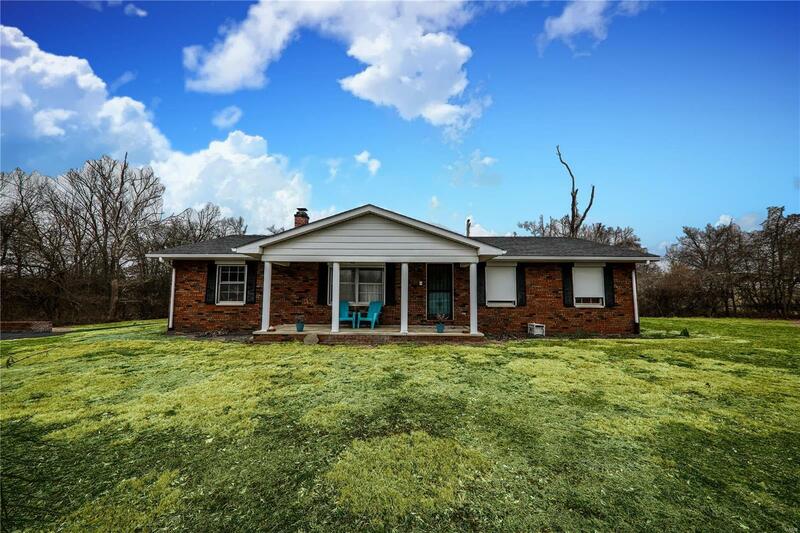 Dont miss out on the opportunity for a brick home on 7+ acres. Seller offering 1 year hms home warranty. Buyer to independently verify all information provided includuing but not limited to sq. footage, taxes, school districts.